For years many people have argued about the maintenance schedule auto manufacturers put into the owner's manuals. They claim that these services are expensive and unnecessary. 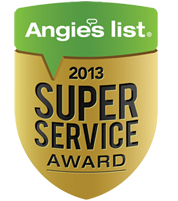 All that we can share with you is our experience as Houston car repair specialists. Whether you own a Honda or a Ford, I believe in following the maintenance schedule; they are important for the health of your vehicle and they do pay off. Over the years we have had several cars come into our shop with well over 250-300 thousand miles on them. The secret behind their reliability? People frequently come in for repairs without realizing that the car manufacturer or the extended warranty companies can deny most repairs that were under warranty if one does not have receipts showing that the vehicle was maintained according to the schedule specified in the owner's manual. Do not underestimate the importance of scheduled maintenance! It can keep your vehicle running for several extra years. Years of experience with service and personal vehicles have taught us to recommend changing your oil every 3,000 to 5,000 miles or 120 days (4 months), whichever comes first. We do not believe in the need for expensive synthetic oil in normal use vehicles that are correctly serviced; Honda's later owner manuals also point this out. We do not use cheap oil or oil filters that are frequently used in many facilities and Houston auto repair service. Please, never drive your vehicle when you know or suspect that your engine is overheating. This is a very expensive decision. If your temperature gauge is 3/4 or over, pull over and turn off the engine. If you continue to drive, your car will likely begin to slow down and smoke may begin to billow out from under the hood. If you do not see any steam or coolant boiling out onto the ground, you should be able to allow your engine to cool off 15-20 minutes, then restart and quickly drive to the nearest phone or Houston auto repair facility. Make sure to constantly watch the temperature gauge, making sure that it never gets too close to the red zone. The safest decision is to call a tow truck. Just a minimum amount of overheating can ruin your engine, which is extremely expensive to replace. Remember to regularly check the gauges on your car while you drive so that you can properly prevent any serious damages to your vehicle in the case of a malfunction. Houston's heavy rains sometimes produce localized flooding. Prevent expensive damages to your car by avoiding driving through deep water; this is particularly crucial for compact vehicles. What is deep water? When the water is as high as the curb, 4 inches or higher, try to avoid going through it by taking another right. In some years, flood damage has ranked as the third most expensive car insurance claim, right behind collision and theft. Driving through deep water can cause wheel bearing grease to be washed out, brake components at each wheel to rust and seize, carpet and/or the padding underneath can become saturated before you see the first drop of water on the floorboard, computers, relays, modules and wiring harness that are mounted on the floor of your car can become shorted or corroded. The interior of your car can become mildewed with a wonderful odor that follows. And if the water is high enough, or a big truck drives with you into that big puddle/river of water and creates a serious wave, your engine's air intake snorkel can pick up water, causing your engine to hydrolock, which ends in serious engine repairs and leaves you going for a swim. Along with the time it takes dealing with your insurance company, flood repairs can take weeks to repair, if they don't total your car. So watch the weather, listen to traffic reports, learn the high water areas during storms when you're out, and avoid them in the future. If you do drive through deep water, you should give us a call so we can look your car over. Don't wait until something fails, or a check engine light comes on...it's usually more expensive by that time. You as the owner know your car better than anyone -- the way it rides; how easily it starts; the rumbles; and noises another person might not notice. If you hear a noise today that you did not hear yesterday, we need to receive a phone call from you. A simple telephone call today may prevent a minor problem from becoming a major repair and thereby save you money, hassles and frustrations. If you observe any of your dashboard indicator lights illuminating, you should take action immediately. If you notice a yellow cautionary light, just pick-up the phone and call Sheri at HCS Automotive, 713-789-4556, and explain to her what is happening. She will inform you of the next step you should take. On the other hand, if you notice a red warning indicator you should safely pull to the side of the road at the earliest possible time and turn the enigine off to protect it, yourself and your familiy from potential harm. Call Sheri at HCS and she'll advise you if it is a towing situation or if you can safely drive the car into the shop. It is essential that you NEVER drive with an oil light on or flashing. Each time that light is on, you have no oil pressure, which means that your high revving engine is running with no lubrication going to all the moving parts. End result - serious engine damage.